Following yesterday’s review of The Mockingbird Next Door, here’s Marja Mills: Making Acquaintances. 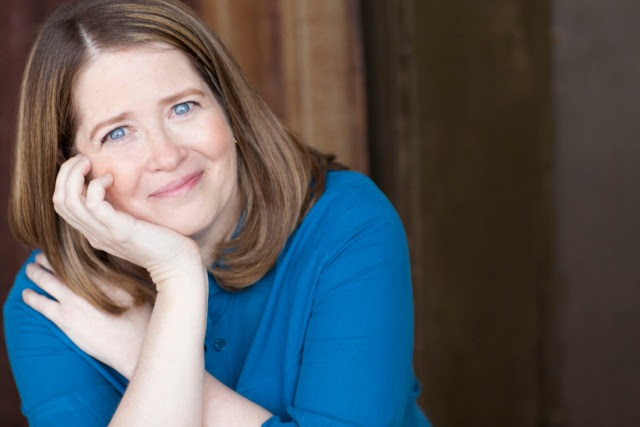 Marja Mills is a former reporter and feature writer for the Chicago Tribune, where she was part of the staff that won a Pulitzer Prize for a 2001 series about O’Hare airport entitled “Gateway to Gridlock.” The Mockingbird Next Door is her first book. Mills was born and raised in Madison, Wis. She is a 1985 graduate of Georgetown University’s School of Foreign Service; a lifelong interest in other cultures led to studies in Paraguay, Spain and Sweden. Mills lives in downtown Chicago and often spends time in Madison and her father’s hometown of Black River Falls, Wis. (pop. 3,500). Did you have preconceived notions of what Nelle Harper Lee would be like? In what ways did she surprise you? I didn’t know what to expect. I thought she might be quiet and reserved. Not so. She was gregarious much of the time, and witty. She loved to laugh. When she was telling a story that especially amused her, she’d take her glasses off, tip her head back and just laugh until she could finish what she was saying. Nelle and her sister Alice–an attorney she calls “Atticus in a Skirt”–loved to get in Nelle’s Buick and explore the back roads. I’d read that the home she shared with Alice when Nelle wasn’t in New York was more modest than one might expect for an attorney and an author of her remarkable and enduring popularity. That was true. They lived simply, didn’t care about material things and had an eclectic group of good friends, from a Methodist minister and a librarian to a hairdresser and a bank president and his wife. Most were retired but still very active. What about the Southern culture you encountered, in general? Any surprises there? Being from the Midwest, I was surprised how many words in common usage in Alabama were new to me. Things such as mashing buttons instead of pushing them. Or using a buggy at the Winn Dixie instead of a grocery cart. That was a source of entertainment for the Lees and their friends: watching me learn local expressions. My favorite is an old-fashioned one that Nelle taught me: “journey proud.” It’s the excitement and apprehension before a trip that makes it hard to sleep. How would you describe Harper Lee as you later came to know her? My first day living next door in Monroeville, she left a note inviting me to dinner. That touched me. Soon she was calling to have afternoon coffee together, often at McDonald’s. Both gave generously to the Methodist church and various charities. Nelle had been donating large sums, quietly and behind the scenes, for many years. As their Methodist minister friend, Tom Butts, said, she educated many people who had no idea she was their benefactor. In what ways, if any, do you identify with Harper and Alice Lee? They got lost in books as children, pulled into another world where you’re not just reading words on the page but living in the story, walking around in it. I was that way, too. Nelle’s eyes would dance, 70 years later, when she talked about being absorbed in the adventures of the Rover Boys. Aside from many hours spent talking with Nelle and Alice, what research was involved for this book? Some of the most valuable and enjoyable research I did was around kitchen tables and on porches, interviewing Lee friends and family. There were people I needed to talk to “while they still had their marbles,” as Alice put it. Or “while they’re still above ground,” as Nelle said. These were leisurely interviews but overall there was a sense of urgency, too, that if their stories about the town and the Lees weren’t preserved they would go with them to the grave. Books were part of the research, too, naturally. I have rows and rows of them at home. Many of the titles were recommended by the Lees, with Alabama history and Southern fiction being two major categories. I enjoyed memoirs by Horton Foote, the playwright who adapted To Kill a Mockingbird for the film, and Wayne Flynt, the Alabama historian. What was different about the writing process for this book, compared to your past experience as a journalist? I had the opportunity to really get to know the people and the place I was writing about, to let them reveal themselves over time. That’s a luxury most journalists don’t have. Nelle and Alice did things on their own terms and on their own time. The way this experience unfolded gradually was more compatible with that that. “You let the river run,” was the way Rev. Butts put it. You allude to the Lees’ approving what went in the book and what didn’t. How much were you asked to hold back? Has Nelle or Alice read this book? Any comment from them? Because of their age and health–neither is able to live at home anymore–I don’t know that they’ll be able to read it but I think they’d enjoy reliving some of the adventures we had together. Age and diminished vision do take their toll. I’ve wondered sometimes how many books each has read in her lifetime. A staggering number; both were avid readers since childhood. Even in her 90s, Alice often had four books going at once. She told me about the time she and Nelle decided they would donate some of their books to the Methodist church. Nelle set her jaw and tried to keep up her determination to part with some of the books. But then she would have second thoughts and retrieve them from the boxes they were trying to fill. Alice was no better. For all their generosity over the decades, books were hard to give away, even for their church. The evidence of that was the rising tide of books in their house. They had all shapes and sizes of bookcases, crammed where they could find space, and it still wasn’t enough. In your book you make it clear that the Lees supported this project, but there was some press in 2011 regarding a statement from them indicating the opposite. Can you help us understand these conflicting reports? I asked Alice Lee about it. Nelle was not living at home; she had a serious stroke in 2007. Alice issued a statement. She said that the first statement had gone out without her knowledge and did not represent her feelings or those of her sister. As far as I know, that put the matter to rest. This interview originally ran on June 25, 2014 as a Shelf Awareness special issue. To subscribe, click here, and you’ll receive two issues per week of book reviews and other bookish fun!